Wander Tactical Scrambler EDC is compact and tough, the right tool where conceal-ability is a factor. It?s the perfect tool for defensive carry or processing small games. 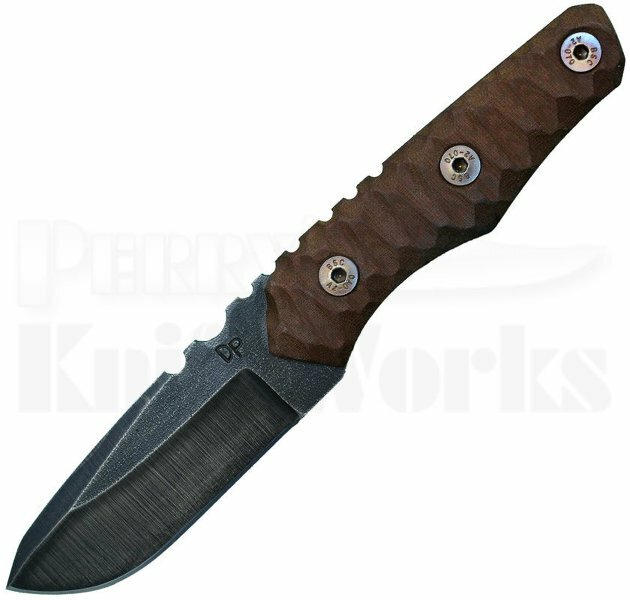 This model Scrambler comes equipped with brown contoured micarta handles and a raw D2 drop point blade with a clear gunkote. Comes fitted with a custom black Kydex sheath with belt loop.